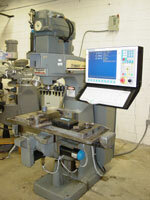 CNC Retrofit control upgrade systems for milling machines,lathes,routers,machining centers. CENTROID CNC Retrofits Milling Machines, Lathes, Machining Centers, Routers, and more..
Click on photos for more information about that type of machine. CNC Router Table Retrofit kits for: Standard Router, Thermwood, Camtech, Multicam, AXYZ, and many others. 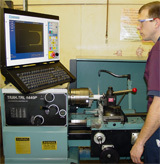 CNC Retrofits for all Bridgeport CNC Machines. 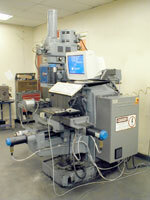 All Boss knee mills, DX-32's, Torque Cut, Interact 412, Discovery 300, 308 more..
CHNC retrofits. New lower Price! 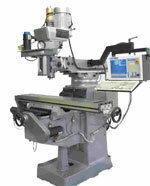 Compact milling machines: Engraving, Medical, Jewelry making, EDM electrodes new and CNC Retrofits. 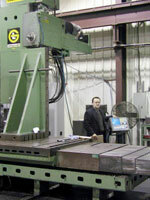 Vertical Lathes: CNC Retrofits for : Monarch, Niles, G&L. C axis! CENTROID directly runs your Fanuc drives and motors. Directly control your Fanuc Yellow Cap and Black cap servo motors and drives with a CENTROID CNC control! Up to 8 axes. CENTROID's new CNC CPU commands your existing Fanuc drives in motors. With the CENTROID Fanuc retrofit system, there is no need to rewire or replace the motors and drives. Save time and money and get better performance with much easier programming and operation. 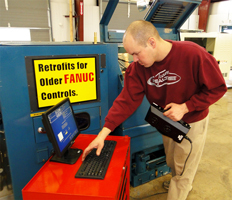 The CENTROID Fanuc Retrofit system makes an old machine tool into a real money maker for less than the cost of repairing the old Fanuc control! Or click here for more info and a retrofit quote.